Glowy: Reekado Banks In Giuseppe Zanotti Puffy Strap Sneakers. 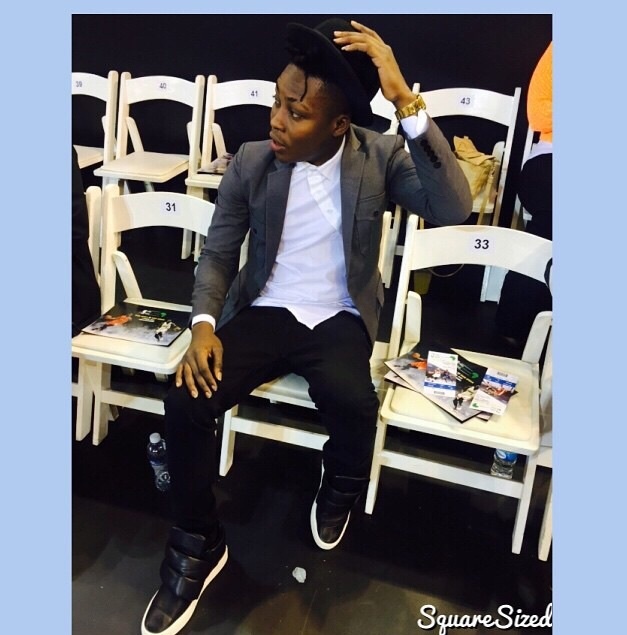 Reekado Banks In Giuseppe Zanotti Puffy Strap Sneakers. 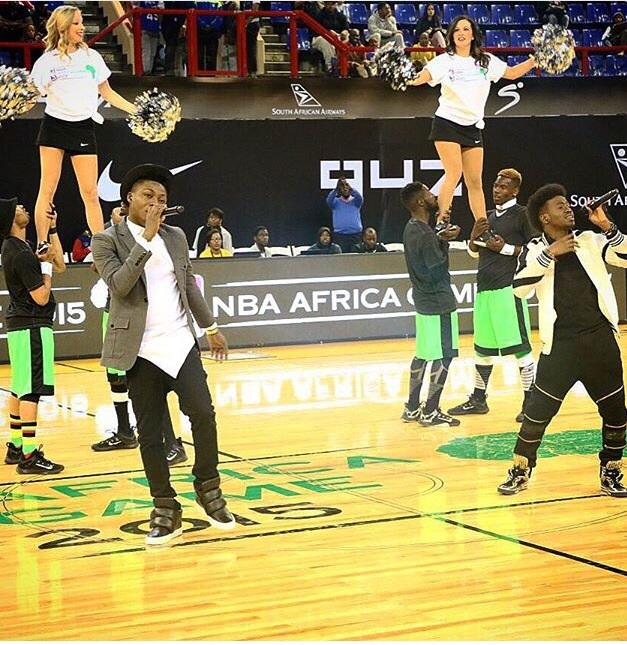 Reekado Banks was seen as she performed on stage with his mavin co stars at the NBA Africa Game 2015 which took place yesterday Saturday 1 august at Ellis Park in Johannesburg, South Africa. He wore a grey blazer jacket on a white shirt with a black trousers and then finished up with a Giuseppe Zanotti Puffy Strap Sneakers. 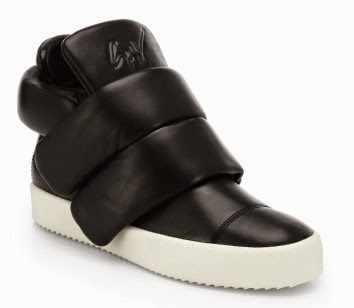 His sneakers features a Round toe, wide channel-quilted puffy strap at instep, concealed elasticized gore under padded tongue, raised logo at padded tongue, puff strap wraps around ankle fastens at side and a White shark-tooth rubber sole. We've seen this sneakers on Neyo, Kid Cudi, Emmanuel Adebayor, and Jennifer Hudson. He accessorized with a black fedora hat. His dressing is so on point, and I like the Giuseppe Zanotti Puffy Strap Sneakers. Money speaking. I think it's a unisex footwear. nice! have a good week!!! Sneakers and hat so on point....I want! Funny enough I like it alot.